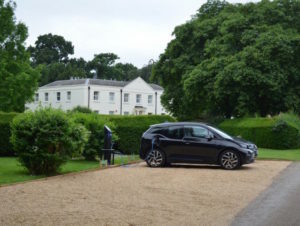 Wavendon House, a Grade II listed former outpost of Bletchley Park, has been fitted out with EV charging for residents with the help of funding from Milton Keynes Council. The 17th-century manor house was home to five of the famous code-breaking ‘Bombe’ machines from Bletchley Park by the end of 1941, with 14 Bombes removed when it finished operations. It has now been equipped with a new ChargemasterFastcharge unit under Milton Keynes Council’s ‘MK Promise initiative’. This enables local residents to apply for a UK-made Chargemaster charging point to be installed free of charge by the council if they do not have private off-street parking, for example their own driveway.